I’m doing something a little different today, I thought I would recap my recipes for the week. It’s been kind of slow for me on the cooking side. For some reason I haven’t had a clue on what to make this week. Do you ever have slow weeks like that? I’m hoping to regenerate and come up with some new ideas. So my Friday night will I will be doing some researching and relaxing. I’m kind of burned out right now, it’s been such a busy week. So let’s start the recap from last Saturday. 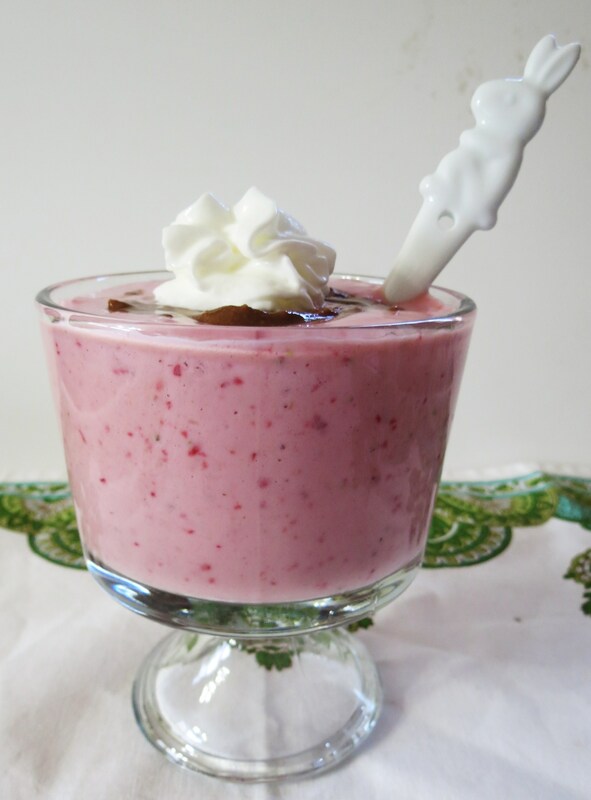 Vanilla Strawberry Softserve – This is a fantastic easy dessert to make and really satisfies the ice cream craving. 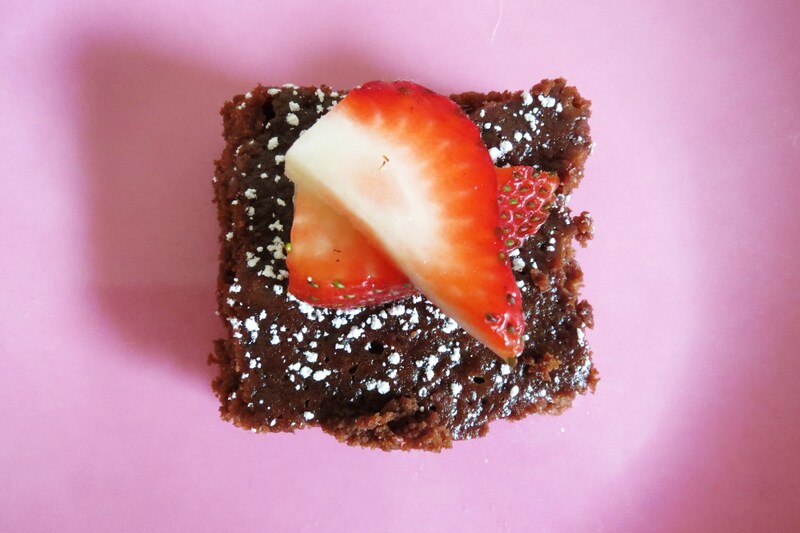 Chocolate Peanut Butter Brownies – I was really impressed with.I used PB2 in it and wow were these one of the most moist, chocolaty brownies I ever had. 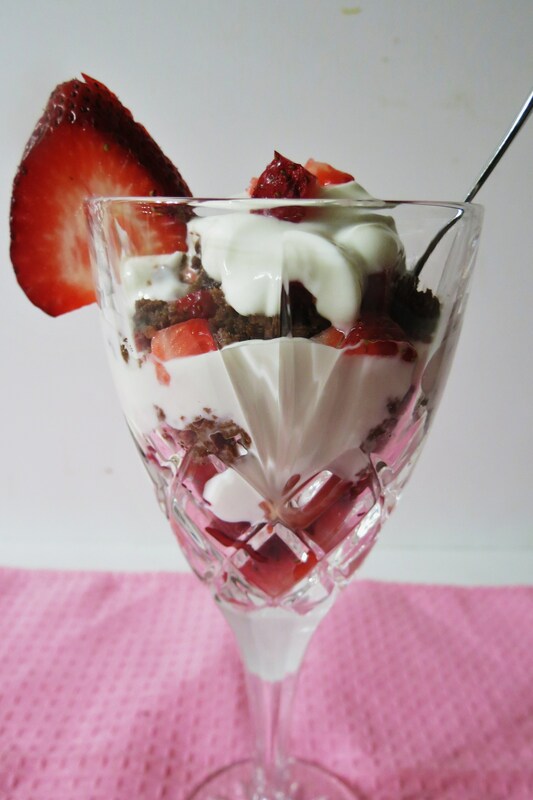 I also made a Vanilla Strawberry Chocolate Parfait – This was amazing!! 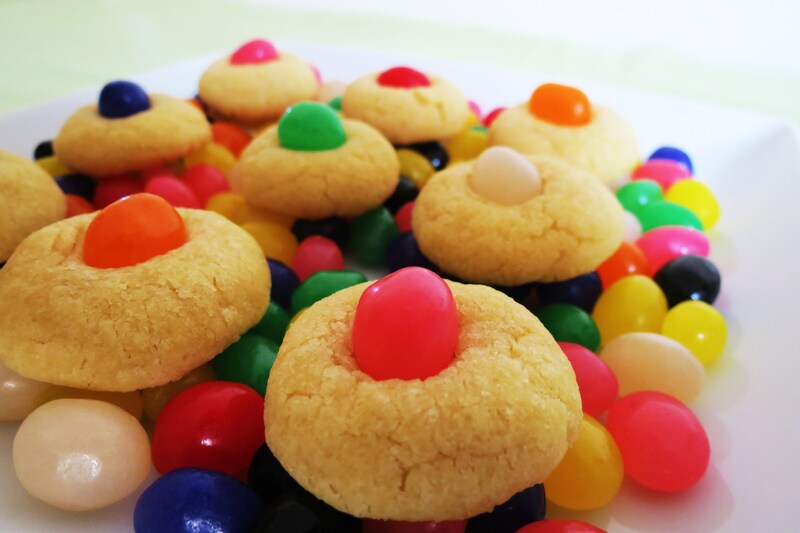 Jelly Bean Sugar Cookies – I love these cookies! I think they are so adorable and would be perfect for Easter. I took these to work and were gobbled right up!!! Aren’t they pretty? 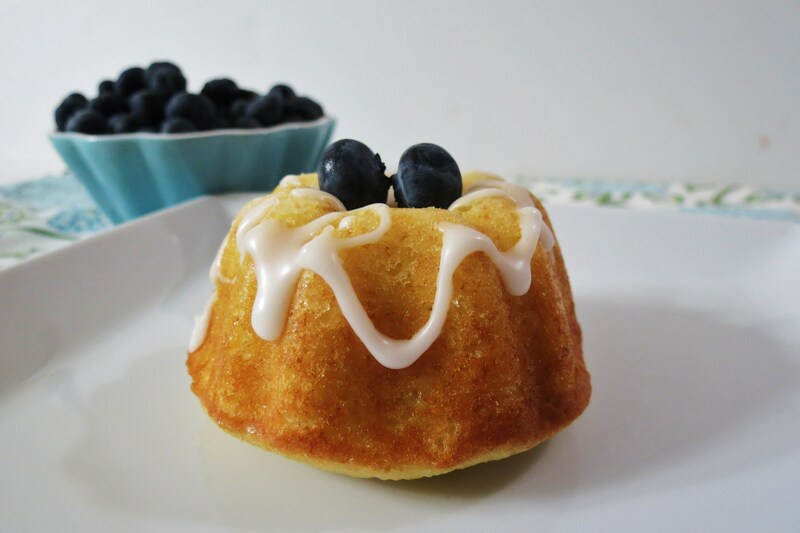 Blueberry Lemon Mini Bundt Cakes – I’m so proud of these little cakes. They made FoodBuzz’s top 9 list! That was such a great day and such a proud accomplishment for me! My Husband absolutely loved these. We ate half the batch at night and the next day with a twinkle in his eye, he asked if he could take the rest to work. 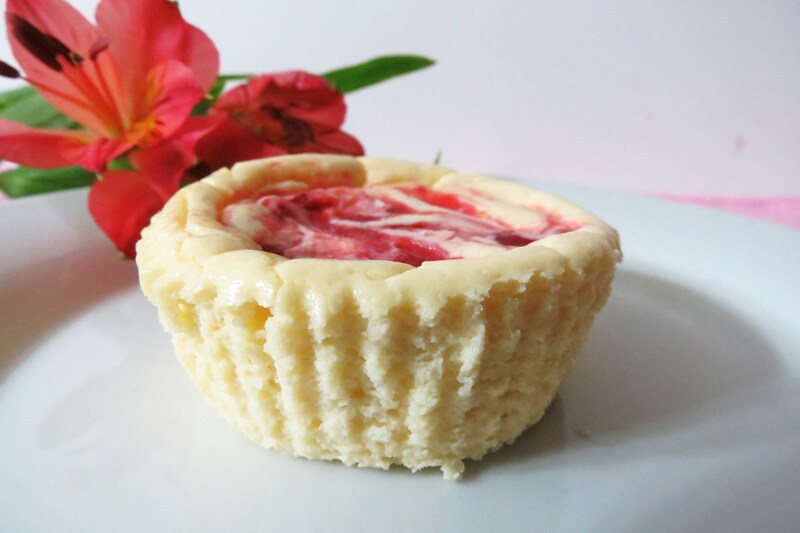 White Chocolate Raspberry Cheesecake – These are so darn good! My friend at work told me they looked good on my blog and she was secretly hoping I would bring her in one and of course I did! I already had a 2nd request to make them again! Little Jenny loved them and was so disappointed that I took them to work. You really have to make these if you’re a cheesecake fan! 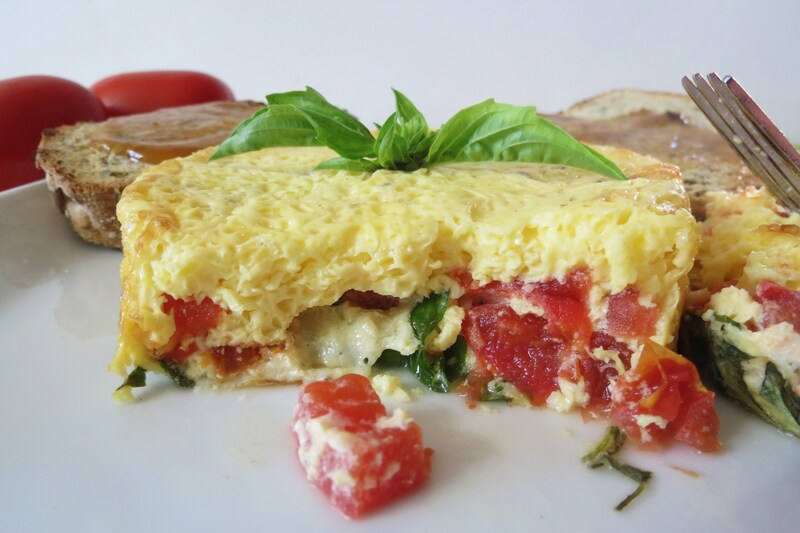 Tomato and Basil Frittata – This is wonderful for a quick dinner or breakfast. Low carbs and full of fresh healthy tomatoes. Yum! I love this frittata and will be making this again, especially when I grow my own tomatoes and basil. 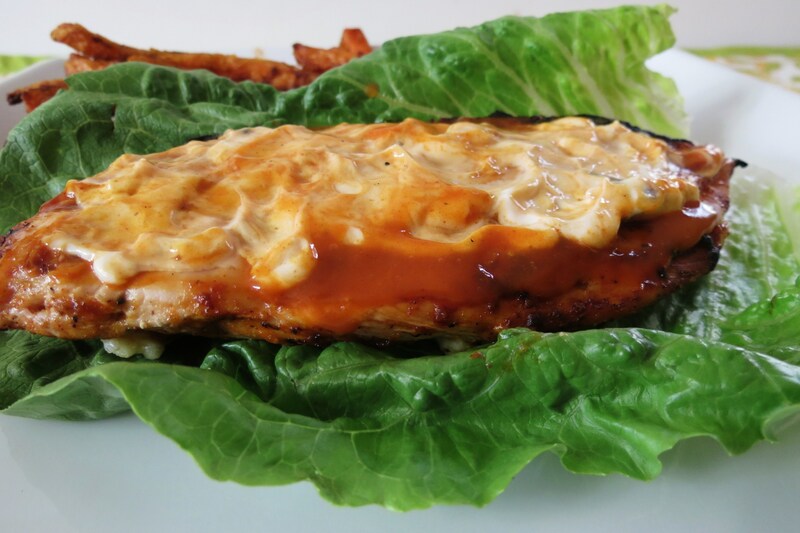 Low Carb Buffalo Chicken Sandwich – I LOVE this sandwich,especially my Spicy Chipotle Sauce. It was the perfect topping on the sandwich. It tastes just as good the next day too! I’m glad I made extra!! That is it for my week. Looking at the photo’s I really had a sweet tooth. But it’s all low calorie and reasonably healthy. Oh and I have a new low calorie dessert that I want to try out this weekend, so if all goes well I’ll be posting it for you soon! I hope you like my re-cap this week. I’m thinking of doing this weekly, either Saturday’s or Sunday’s. Do you like the idea of a weekly recap or would you prefer to see a new recipe on Saturday’s? Your opinion really matters to me and would love to know what you think. Ah! Sorry, wrong box on the wrong post. What I MEANT to say was, YES I love the recaps! This way if I missed a post during the week, I don’t get to miss out on all your deliciousness! So many wonderful recipes. Which one do I make first? !